Ba Xian literally means “Eight Immortals” in Chinese. 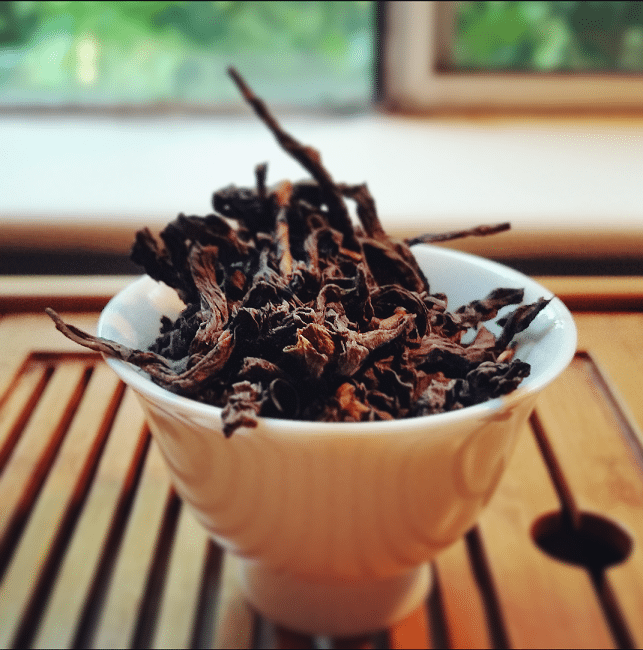 The name refers to the tea plant cultivar used to create this particularly odd Wuyi oolong, but it also has a legend attached to it. Don’t they all? The name is a direct reference to eight legendary heroes in Chinese mythology, particularly the Taoist tradition. I won’t delve too deeply into their history. That would take up the entire blog. 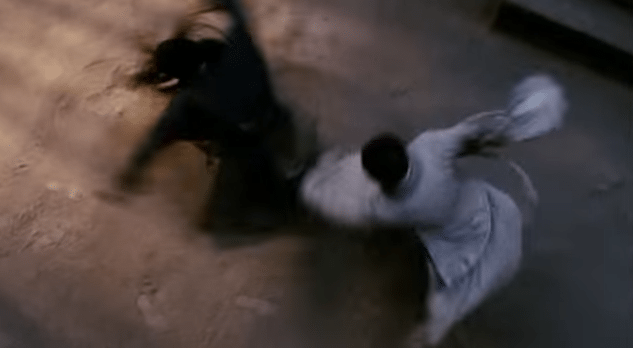 Just know that Jackie Chan played one of them once. It was awesome. Moving on. How a cultivated variety of tea bush got named after a bunch of Taost gods is unclear. Also perplexing is how the cultivar made it to Wuyi Mountain, Fujian province, China in the first place. The Bai Xian cultivar—at least from what I saw via “The Google”—likely originally hails from Guangdong province, and is used to produce Dan Cong (Phoenix) oolongs. From there, it made its way to Zhu An village in Fujian province. 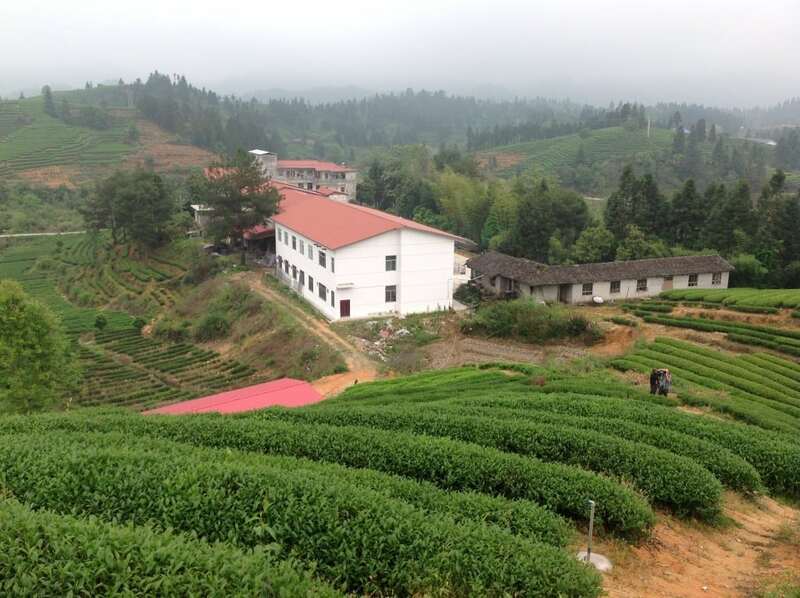 Then, in the 1980s, some enterprising folks brought it to Wuyi, which is how it ended up in the hands of an organic garden helmed by tea master, Lin Qu. Eight Immortals organic garden. Image owned by Seven Cups. The leaves looked like . . . um . . .
Y’know what? This is going to be nitpicky, but all these Wuyi oolongs are starting to look the same to me. No, I’m not trying to trying to be leaf racist—I swear! But when you’ve seen one batch of long, brown, spindly leaves, you’ve kinda seen them all. This looks almost exactly like the Bai Ji Guan I’ve been subsisting on a couple of days prior to this write-up, only darker. Instead of partial flecks of beige, showing their mid-oxidized profile, these were straight umber, purple-black, and brown. The aroma was also a bit different, imparting notes of cinnamon along with the usual suspects—rocks and roast. 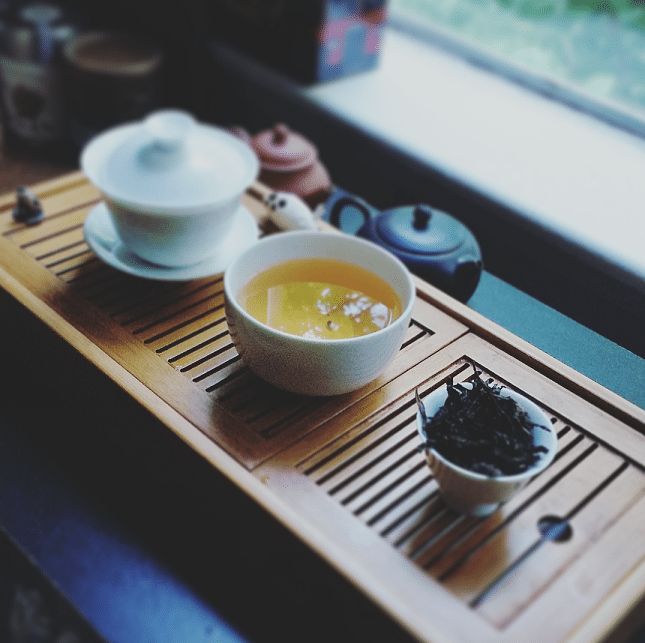 For brewing, I did what I always would for an oolong. 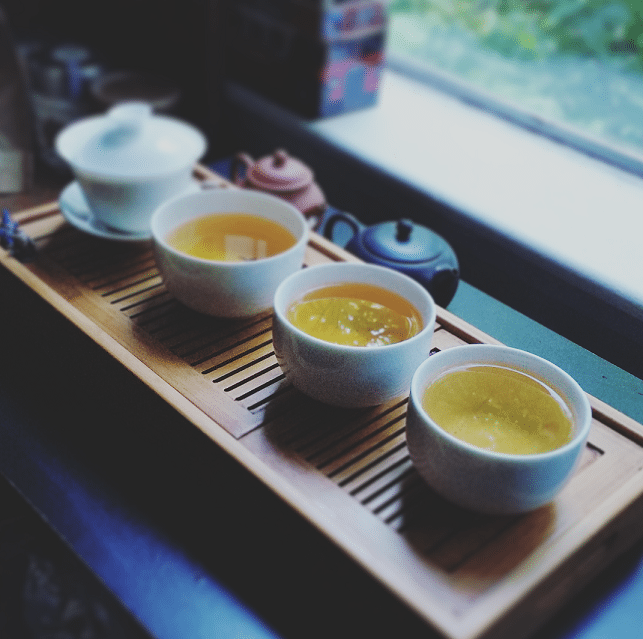 Several short infusions in hot water, from gaiwan to cup. Not very complicated, not very specific; I eyeballed the whole thing. The liquor brewed surprisingly dark on the first, thirty-second infusion. Unlike some yanchas of past brews, the finished color here was . . . “rusted amber”, if that can even be considered a thing. The aroma was nothing new, roasty-toasty tea scent. But the taste . . . whoah . . . I expected the same cliffy taster notes on introduction and—admittedly—some of that was there, but then it did something I didn’t expect. The flavor alternated to include tart, almost Dan Cong-y notes, and then shifted again to something similar to a Muzha Tie Guan Yin. And finally, right before I swallowed, there was this lingering sensation of . . . ancient wisdom. A profile I’ve only found in aged oolongs . . . and one black tea I completely forgot about in a tin. And that was just the first steep. Further infusions got slightly less tart, more nutty, and took on more floral characteristics. Very Anxi-ish characteristics, if memory serves. There was still that requisite roast-‘n-rocks duel action going, but it grew more understated as other nuances perked up. It’d be interesting to see what this would be like in ten years. All said, the first steep was still—by far—my favorite. Not sure if it made me feel like an immortal (or eight), but the eight or so infusions I got out of this sucker sure lingered for a while. I didn’t think teas could taste like other teas and shift their tastes. 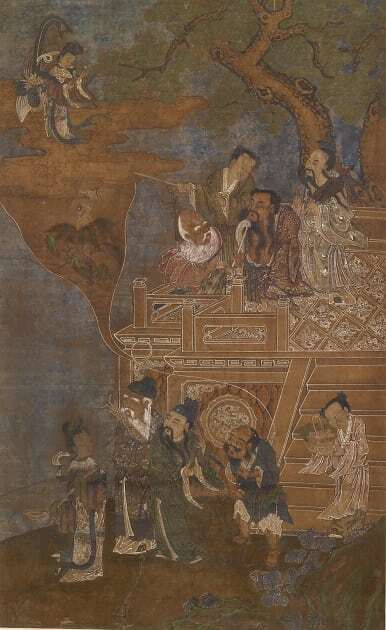 It seems that these Eight Immortals are really surprising, aren’t they? Interesting.